I just received this editorial review from Writer’s Digest. It was written by one of the contest judges. What a great review! The Universe Builders: Bernie and the Putty is one of those books you remember long after you finish reading it. Steve LeBel has that rare ability to create very real characters AND paints a stunningly realistic world that they inhabit. I could smell the earth in Bernie’s forest, could feel the texture of the trees, and with such a deep connection to Bernie’s creation I felt true dread that it would be ruined and anger at the reasons why. Bernie is an embraceable character, a young god with very human concerns and motivations, great inner strength and intelligence that YA readers will surely connect with, and the people who satellite around him are equally real and nuanced. The book reminded me of Harry Potter in that way, focused on the hero but populated by his band of friends and nemesis who each jump off the page with their realism and values. YA readers will recognize the tactics of the bully that torments Bernie, a very painful situation for many kids who have something very special about them that a mean person wishes to reduce. And while we see the bully landing some attacks, we’re very pleased to watch Bernie grow in his handling of it. He outwits the bully, wisely, and surrounds himself with good people. It’s important for a youngster to see how a bully can be handled, and in this story they get a very good lesson in overcoming unfairness as well as overcoming obstacles to goals. 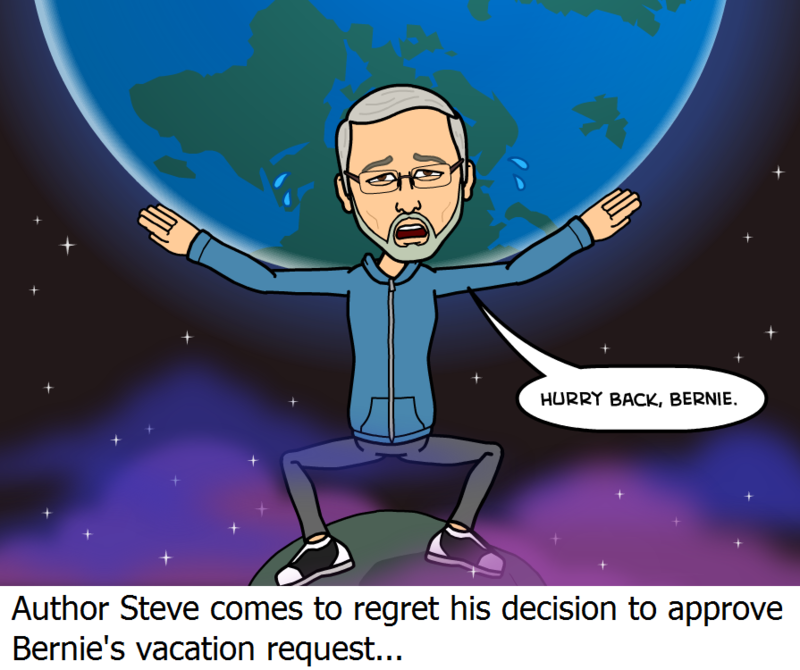 Bernie is a model for overcoming, both outside forces and his own insecurities and doubts, and it’s a clever and witty adventure following him through the adventures and lessons of this book. Highly recommended. One of the most unique and well-written YA books I’ve ever read. Needless to say, I’m thrilled by this great review. In addition to the Editorial Review above, they also sent me the original comments made by the first judge who read the book, revealing the rating system and the judge’s narrative. I found it very insightful. If you would like to see it, click here.